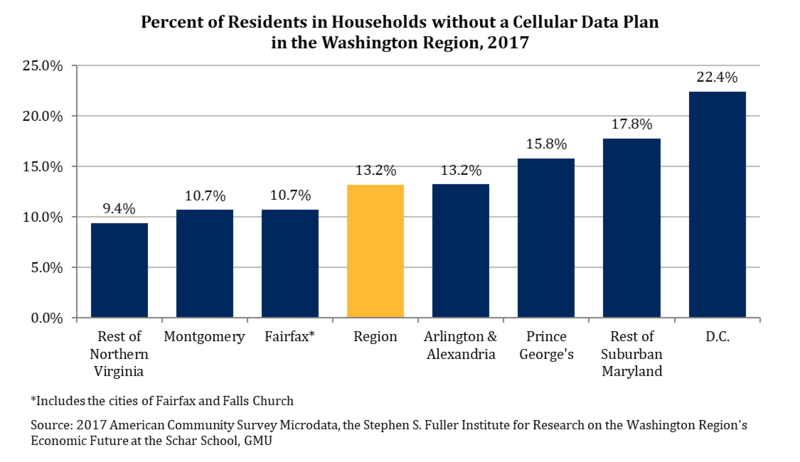 In the Washington region in 2017, 13.2 percent of residents lived in a household that did not have a cellular data plan. 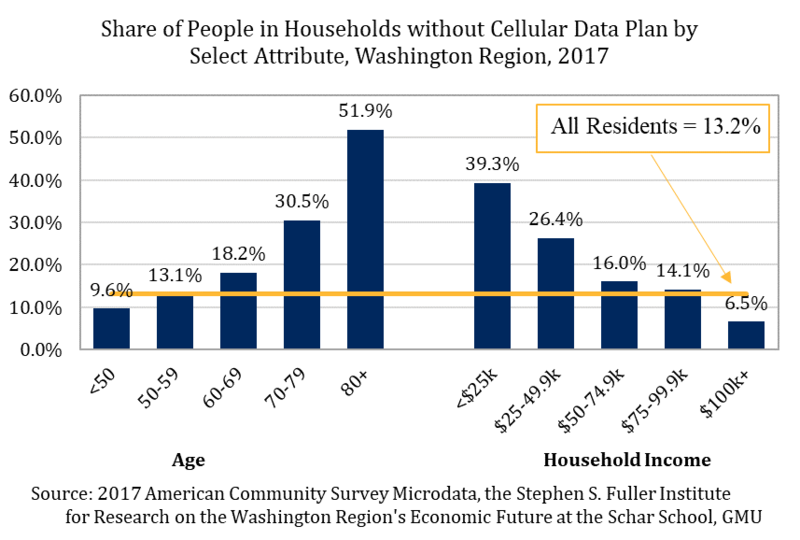 Residents without a cellular data plan had limited access to the increasing number of smartphone-enabled transportation and other services and access varied by geography, age and household income. Residents in the District were the least likely to have a data plan and 22.4 percent did not, while residents in Stafford County and the City of Fredericksburg (combined) were the most likely to have access and only 6.6 percent did not. Younger residents were far more likely to have a data plan and only 9.6 percent of residents younger than 50 years old were without one. By contrast, 30.5 percent of residents aged 70-79 years old and more than one-half (51.9%) of residents older than 80 years old did not have a data plan. A similar pattern emerges by household income, with lower income households being significantly less likely to have a data plan. Nearly two-fifths (39.3%) of residents in households with incomes less than $25,000 did not have a data plan and more than one-fourth (26.4%) of those with household incomes between $25,000 and $49,999 did not.